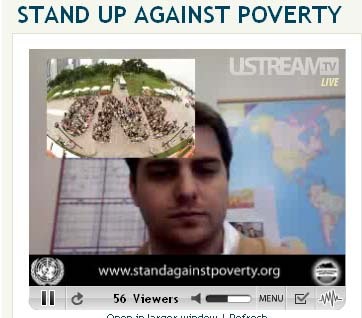 The United Nation’s Millennium Campaign against global poverty streamed live today on Ustream for bloggers around the world. 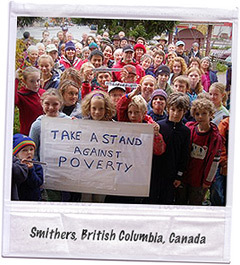 Working in more than 30 countries, both rich and poor, the Campaign partners with a wide range of partners at the international and local level to inspire grassroots movements toward the achievement of the Goals. 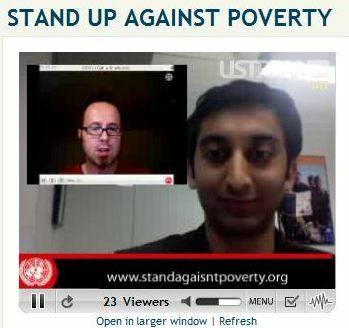 STAND UP and SPEAK OUT is a worldwide call to take action against poverty and inequality and for the Millennium Development Goals. During the 24 hour period between Oct. 16th at 9pm GMT and Oct. 17th at 9pm GMT, millions will literally STAND UP and SPEAK OUT to show that they refuse to stay silent or seated in the face of poverty. Help us break the world record so we can break the record of broken promises.